Gripsweat - KISS, "DOUBLE PLATINUM".MEGA RARE ORIGINAL 1982 UK PRID8 VINYL LP. STUNNING !! 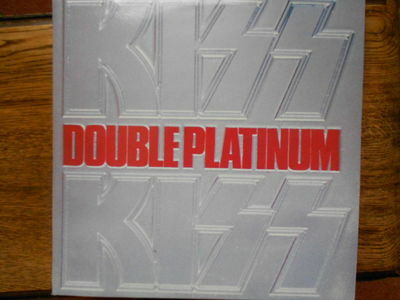 This is my own, MEGA RARE, KISS ,"DOUBLE PLATINUM" LP. It is the sought after BLUE inner UK PRID 8 issue and features all of the best Platinum hits from the bands early to mid career seeing them rise from stand out extroverts to a huge worldwide arena filling "MONSTER" of a mega group. This LP set is extremely rare and is a must for any collector and fan of KISS music. Thank you for looking and please check out my site for more rarities, box sets, coloured vinyl and picture discs from KISS, Metallica, Guns N' Roses and many more massive hard rock groups.